When exposed to water, mold can quickly grow into colonies, causing property damage and health effects. But how do you get rid of mold in New Jersey? Mold Solutions by Cowleys uses Mold Abatement Polymer Solutions (MAPS), a specially-designed two component antimicrobial system for resolving even the most challenging mold problems. In most cases, you can return within the same day to a healthy home or place of business with improved indoor air quality. With Mold Solutions by Cowleys, the mold problem will be gone – as well as all of the worry. With the installation of our commercial-grade dehumidifier and yearly service contract, our 1-year warranty is extendable to 5 years, so the area treated for mold in your home or business can be guaranteed free of mold for the covered period. The MAPS process is a unique system in mold treatment because of the unique, patented SMART polymer (MA-2). Our process offers a safe and efficient superior method to treat mold and prevent its return. This system is only available to companies that have a pesticide license to apply EPA-registered fungicides in the states in which they operate. Call us at 1-844-385-9604 or click below to request a mold inspection and to learn if the MAPS system is the right solution for your mold problem! Saves money because you can avoid unnecessarily tearing down walls and removing other building materials. Major reconstruction is typically avoided with this process. Most properties are restored within the same day (depending on the scope of damage), allowing safe and healthy re-entry with no need to temporarily relocate. Minimal business interruption or loss of production in most cases. The MAPS system usually takes less than a day to apply. Non-toxic, non-bleach, non-carcinogenic process for a healthier environment. By treating mold where it is, you reduce the chance of mold spores reattaching elsewhere and having the mold return. One-year "Mold Treatment and Prevention Warranty" that can be extended up to five (5) full years of coverage with dehumidifier installation. Our two key components to treat mold are MAPS MA-1 and MAPS MA-2. MAPS MA-1 is an EPA registered, multi-purpose, antimicrobial based in quaternary ammonium salts, specifically selected for its compatibility with MAPS MA-2. MAPS MA-2 is a unique, proprietary Static Migratory Adjuvants demonstrating Rheological Transformations (S.M.A.R.T.) polymer containing a synergistic balance of time-released antimicrobial ingredients. 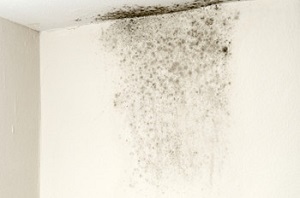 Mold cannot grow on any treated surface (such as a wall, floor, or ceiling) after the polymer is applied. The treatment remains active to fight mold 24/7 for years. Water Intrusion Inspection (WII): Our highly-trained technicians inspect your home or business to find mold and locate water and moisture sources. Apply Antimicrobial: Using an electrostatic fogger, our technicians apply MA-1, an EPA approved antimicrobial that kills mold on contact. MAPS MA-1 is non-corrosive, dries clear on windows, sterilizes surfaces, and leaves a fresh clean smell in your home or building. Apply SMART polymer: Using an electrostatic fogger, our technicians apply MA-2, the unique, proprietary polymer that destroys the DNA of mold allergens, rendering them harmless. The polymer seals treated surfaces and remain active to prevent future mold formation. The product is non-corrosive, dries clear on windows, and creates a healthier environment. Dehumidification: We complete our treatment process by installing a commercial-grade dehumidifier that monitors and controls indoor humidity and helps prevent the reoccurrence of mold. 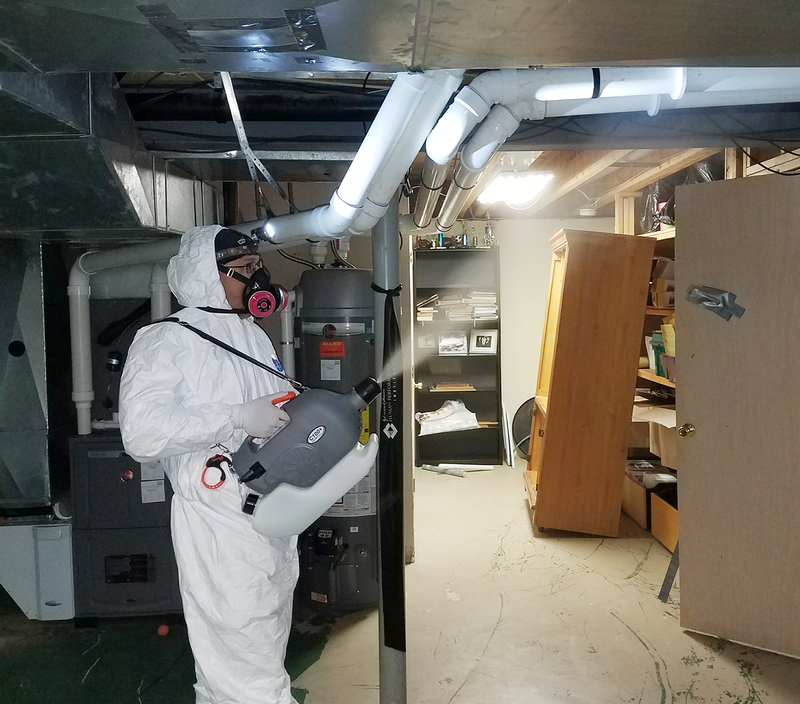 Mold Solutions by Cowleys provides expert mold removal services in Toms River, Woodbridge, Cherry Hill, Bridgewater, Princeton Junction, Middletown, Old Bridge, Piscataway, New Brunswick, Lakewood and nearby in New Jersey. Just give us a call with your mold problem and we will help you get started with a free estimate.